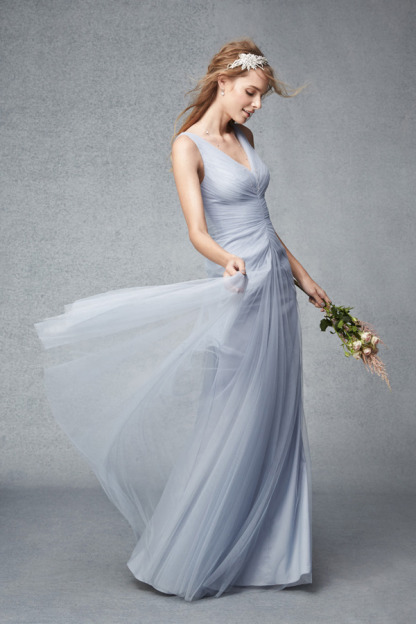 Cutting the dress: Of course, hemming the dress removing straps, cross-overs, or backs is the easiest way to alter the dress and make it something less formal and summer-affair casual. Easy snip and tucks can be done at home, but a tailor will do a hem for you for under 15$, any way you want it. And more! Adding some bijoux: Stylize and glitz it up to your heart's content. This could be a really fun activity to do with some friends and wine, as a post-wedding party. 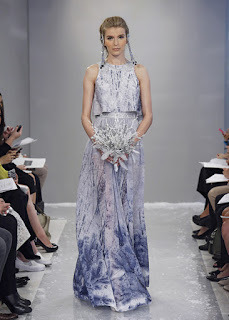 Studding, bejewelling, even water-colour painting on it could completely change the way you look and wear the dress. Dyeing the dress a different colour: Maybe blush pink just isn't your thing, but the dress fits you like a glove. Silk chiffon is a dyeable fabric, and can be done by a professional, but for polyester chiffon, some say it's not possible. Fear not though: it has been done before. I found this easy to follow step-by-step article with pictures on how to dye your dress at home! Reuse the fabric: You had a lovely time at the wedding, being one of the girls, but you can't see yourself wearing that dress at all again. The fabric can be used for plenty of other things, such as table clothes, curtains, lampshades, upholstering, hair and jewelry accessories, and pillow shams-- you can even make pillows out of it! 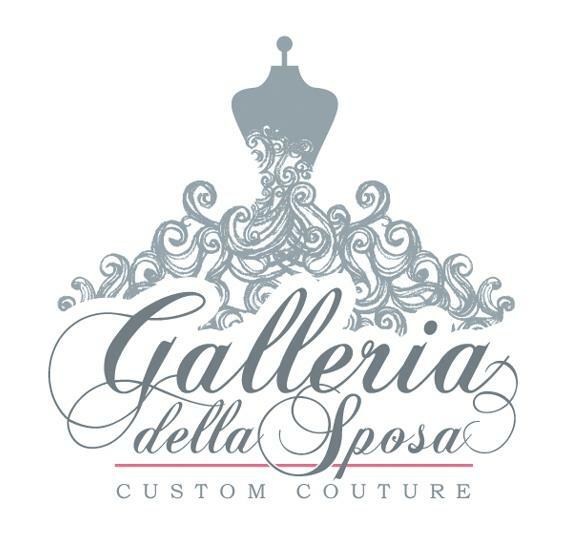 Here at Galleria Della Sposa, we are busy busy busy! Between our summer brides, searching for the perfect fabrics, and creating our new collection, our team is working tirelessly to present our next season's brides with stunning designs. This Fall, the motto is: let it shine! Lots of jewel, beads, and crystal appliques are being shown. Lace-mesh trains and symmetrical beading details are taking the runway by storm, while art-deco, jazz-inspired beading is appearing in bolder and larger patterns. Sleeves with layered crystals and metallic threading, as well as shoulder-length capes, are the go-to cold weather accessory for your dress. Summer in Montreal has so far been a wet and dreary one. This could put a damper (ha!) 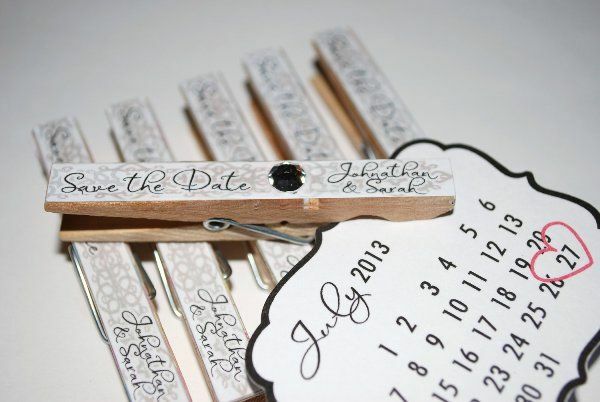 on some wedding plans, such as outdoor ceremony and receptions-- but fear not! There are always beautiful and creative ways to keep the party going and still have the dream wedding. Always be prepared! No matter what the forecasts say about your date, have umbrellas at the ready. Matching umbrellas for the couple, and colour-coordinated umbrellas for the bridal party and the groomsmen, could lead to some really lovely pictures. For outdoor ceremonies and receptions, renting a variety of umbrellas from a party or decor supplier is a practical yet fun touch. Location, location, location Researching where you'd like to shoot on your wedding day is a given, but have two lists: one for a sunny day, and one for a rainy day. 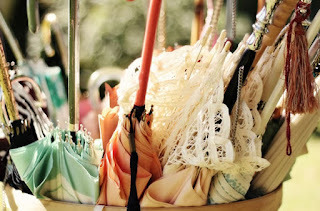 This will save you time and help you avoid stress the day of, in the case of wet weather. Aside from the church and the reception hall, some ideas for indoor locations are older libraries, subway stations, cafes or restaurants with special decor. 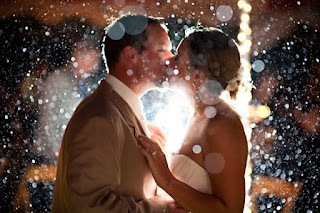 Make it unique Rainy weather + Wedding day= dancing in the rain! Rain in photos can be anywhere from romantic and artistic, to adorable and hilarious. 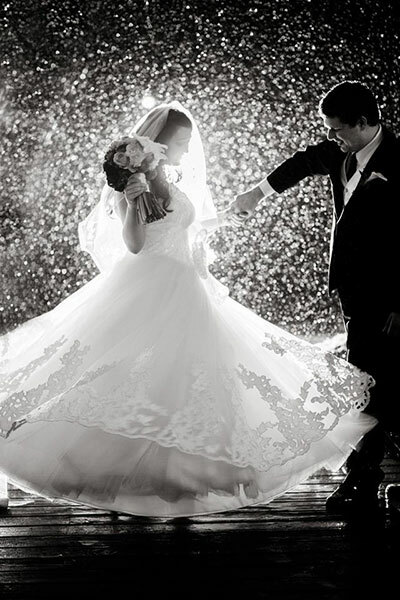 Matching rain boots, jumping over puddles, or even taking shelter; these can all make your wedding day memories all the more special. Weddings have a rep for being huge, lavish bashes. It is not uncommon for the couple to invite 300 people, some of which are distant relatives, and meet them for the first time at the reception. And because there are so many guests, the party becomes an extremely opulent, but beautiful, celebration. But for some couples, this is not the route they want to go. Close friends and family are all they need at their wedding. 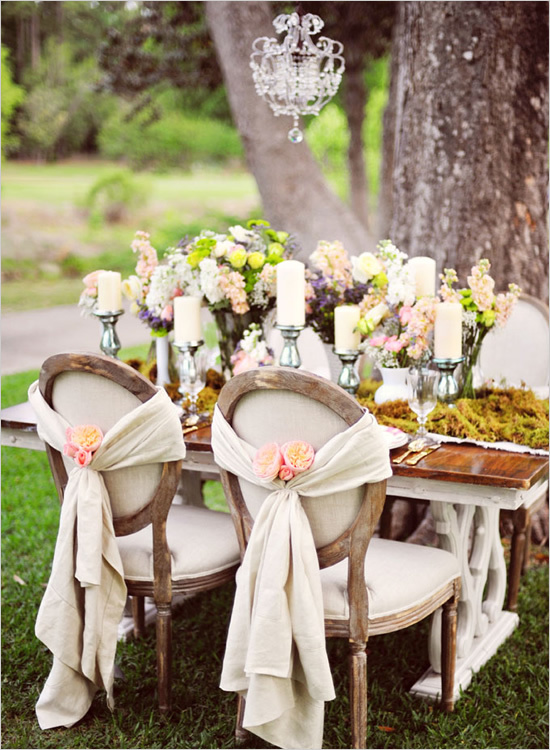 They want their wedding to be intimate, simpler, and have lots of time to mingle with all their guests. Smaller weddings are also time-efficient: couples that don’t have the time to plan a wedding a year in advance, or prefer to go away to a resort will opt for something quaint. What we love most are the endless possibilities: from the dress to the rest, every aspect of a small wedding can be personalized to create a most lovely affair for two! Location: This is the most obvious benefit of having a small wedding. The location can quite literally be ANYWHERE! Your own backyard can be transformed into a romantic scene; a park can be a family-friendly venue too, and for the summer, a wedding/BBQ is just an absolute blast. For something a little more upscale, a restaurant that the couple enjoys can be reserved, just be sure that the restaurant offers a set menu for groups! Tapas restaurants, Sushi restaurants, and Italian trattorias are excellent choices, and can offer a nice variety for fixed menus. Invitations: Probably the most stressful part of a big wedding—getting those RSVPs! Along with ordering the stationary, searching for addresses and buying the postage necessary, invitations can be a hassle. With a guest list of fewer than 100 guests, you are sure to experience much less anxiety, and the costs will exponentially decrease. You can call each invitee individually, email, text, or make your own invitations with some creativity. Buying invitation stationary, with envelopes and place cards, and customizing them, can save a lot of time too. Photography: Arguably the most important item on your Wedding To Do list, finding a photographer that will understand your wedding day vision and be able to translate it into photos that will make you smile for your whole life. When planning a small wedding, your photographer should be in the know: who’s coming, how the venue will be set up at the ceremony and the reception, and what you want from them. The best part is that, because of the size of the party, the photographer will be able to get the shots you want without chasing down the couple to pose, or even the guests. The couple and photog. will also have more time to do creative set-ups without feeling the rush of a typical wedding day lollapalooza! Dress: Of course we’ll talk about the dress! It can be anything you want: any color, any length, any –anything- but more so than ever, you, as the bride, can truly wear whatever you want. You are surrounded by the people who love you most, and know you best. 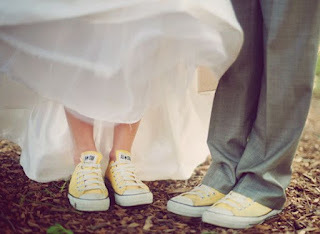 If you always wanted a laid-back ceremony of love without the crinoline, then you can go for it without any worries. An A-Line skirt with Converse shoes, or a sheath gown and barefoot, you know that you’ll look stunning in anything. For brides who are unsure if they want a low back or an open back on their dress, a compromise has come. This is a definite “yes!” on our 2015 wedding fashion list! The cowl sweep on your wedding dress will make your back appear slimmer and longer, due to the curve and length of the design, and allows the bride to reveal her back comfortably. A double cowl sweep is an elegant and delicate detail, and also slimming, as the fabric is tucked in at the mid-back, where the ruching affect minimizes the waist. The cowl back doesn’t limit your embellishment possibilities either: you can still add an intricately beaded back, lace straps, and drop-pearl buttons to complete the look. Look for the cowl back on bridesmaid and maid of honour dresses too! 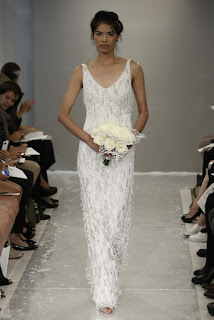 Fringe on bridal wear was probably one of the more eclectic fashion statements that appeared in the Fall/Winter 2015 collections, but it was all done in very good taste. The fluidity and versatility of fringe on your dress could add pizzazz and fun on an organza, silk or satin dress, making it a definite nod to the Moulin Rouge era of class and daring femininity. Whether it be fringe all over, or on a belt, there’s no denying that fringe adds a dimension of airiness and mystique: just watching the bride dance and swing with her free-flowing tassels is sure to hypnotize! 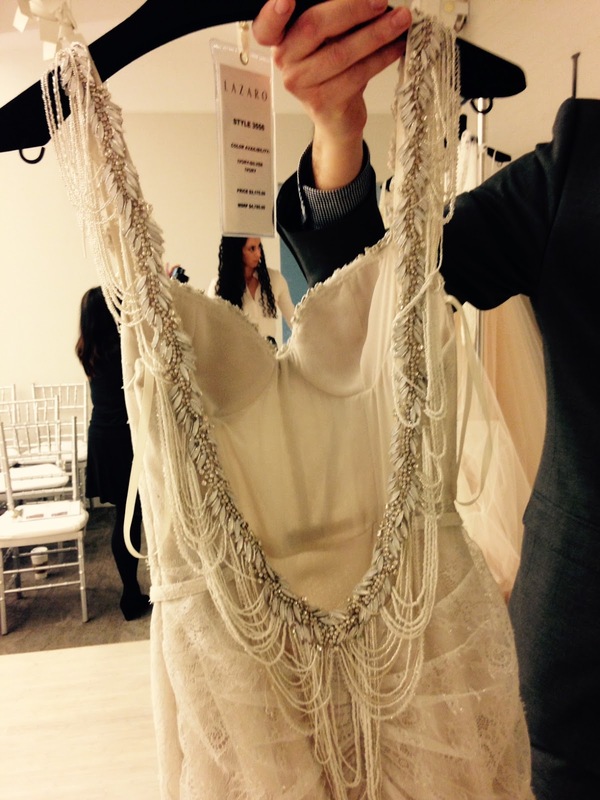 Our favourite example of tassels was at the NYC Bridal Market; Theia White Collection's dress of shimmery fringe on a sheath dress. Definitely a show stopper! The two piece wedding dress has finally been reinvented! Gone are the Victorian corsets with their matching princess, pick-up skirts, and in come the easy, effortless chic of haute couture crop tops and lithe, flowy skirts. This oldie has become a true goodie, as this wedding dress fashion allows for lots of creativity and movement. On runways this spring, the two piece dresses were adorned with crystal, lace, and fringe, and in all sorts of beautiful combinations. We are still seeing inspiration from the 1920s garçonne/flapper era, but with a touch more skin and bourgeois embellishments.